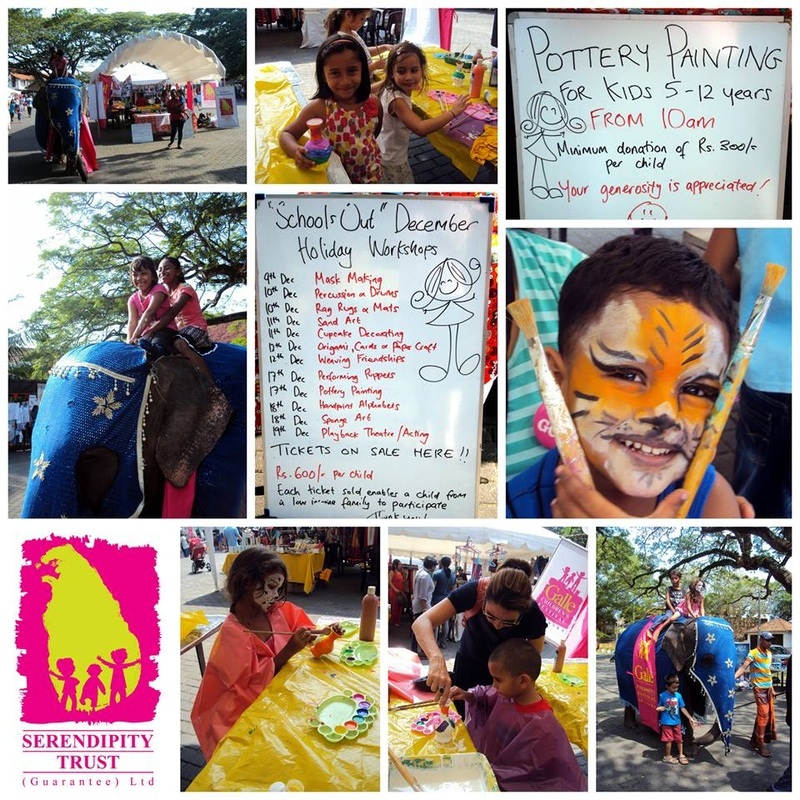 The Serendipity Trust had a great time running some activities at the Galle Fort Golden Flea Market. 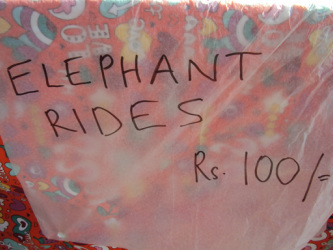 Children were delighted to get a ride on a gorgeous elephant which looked great with its hot pink Galle Children's Festival flags! Our Pottery Workshops were enjoyed by lots of kids who proudly took home their terracotta vases. 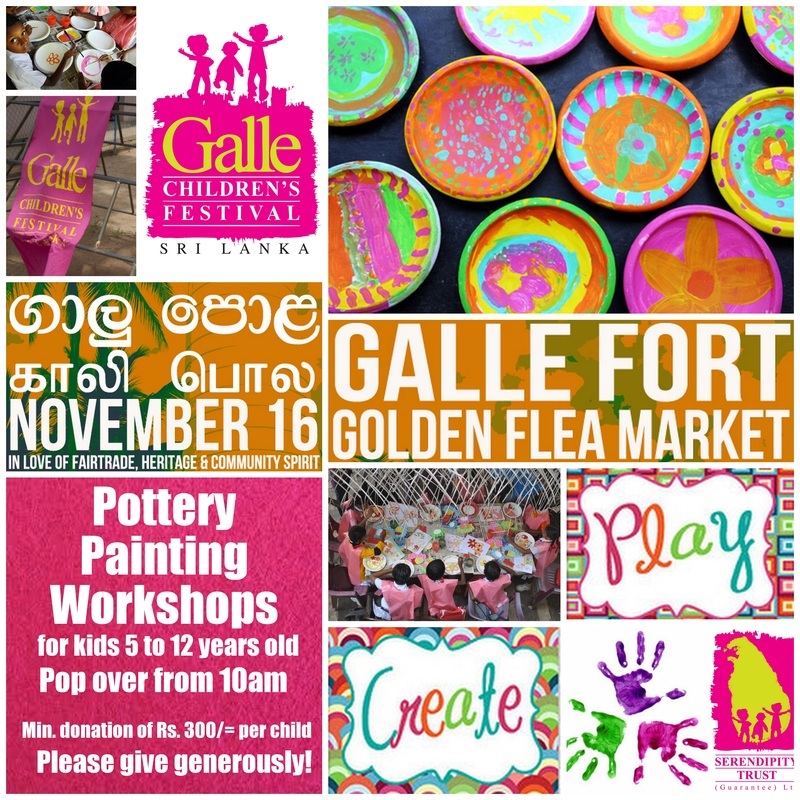 The Pottery Painting Workshops were for children aged 5 to 12 years. Each participant designed their own colourful terracotta vase. We are very grateful that people dug deep in to their pockets and donated generously when their children participated in the activity. Click here to contact us for more info!